For years we have seen antibacterial soap sold in stores. It was supposed to be better than "regular" soap, killing the germs that make us sick and providing protection from infections. Then suddenly the message changed. Now we should be using regular soap again. What happened? In 2013, the US Food and Drug Administration (FDA) issued a directive to manufacturers of antibacterial soap products, requiring them to "provide the agency with additional data on the safety and effectiveness of certain ingredients used in over-the-counter consumer antibacterial washes if they wanted to continue marketing antibacterial products containing those ingredients. This included data from clinical studies demonstrating that these products were superior to non-antibacterial washes in preventing human illness or reducing infection." By September of 2016, manufacturers were unable to provide evidence that antibacterial soap provided any benefit over soap that does not contain these antibacterial ingredients. At this time, the FDA determined that the risks outweigh the benefits of continuing to allow these products to be included in hand soap and ruled that they need to be removed from these products. This included 19 antibacterial agents of which the most common are triclosan and triclocarban. For years, manufacturers claimed that antibacterial soaps were superior to regular soap because they were supposed to kill the bacteria on your skin rather than just washing it away. However, it turns out the research doesn't back up that claim. Washing your hands with plain soap and water is just as effective as using antibacterial soap. Additionally, the ingredients used in antibacterial soap may cause hormonal changes and antibiotic resistance. Triclosan has been linked to an increase in cancer in animal studies as well. Although there's no clear evidence that the amount of triclosan in hand soap could raise a person's cancer risk, animals who are exposed to very high doses of the ingredient have developed cancer at an increased rate. Hormonal changes could include changes in thyroid function and other endocrine system effects. Bacterial resistance is a huge concern given that so many bacteria in our world today have developed resistance to many of our available antibiotics. Every time a bacteria is exposed to an antibiotic—or a substance that acts as an antibiotic—at a low dose, it has the potential to develop resistance against it. The bacteria "sees" what is trying to kill or disable it and develops the ability to overcome that. Including these ingredients in soaps may allow bacteria that are always present in our world to develop resistance to these and other antibacterial agents, making them stronger and more difficult to treat in the future. Due to the rampant overuse and misuse of antibiotics in the general population, it doesn't make sense to continue to allow these ingredients to be included in our soap when it provides no true benefit and could potentially cause harm. Health care providers should always look at risk versus benefit when making treatment decisions. The same rules apply to public health when researchers are making decisions about which products are "generally recognized as safe (GRAS)" and which are not. By the end of 2017, triclosan, triclocarban, and the other antibacterial agents that are included in the ban should be removed from consumer hand soaps. The ban does not include products used in healthcare facilities, hand sanitizers or wipes. Hand sanitizers and wipes typically contain alcohol as their cleaning agent and are not used nearly as frequently as soap and water. They should be used when soap and water are not available and hands are not visibly soiled or dirty. 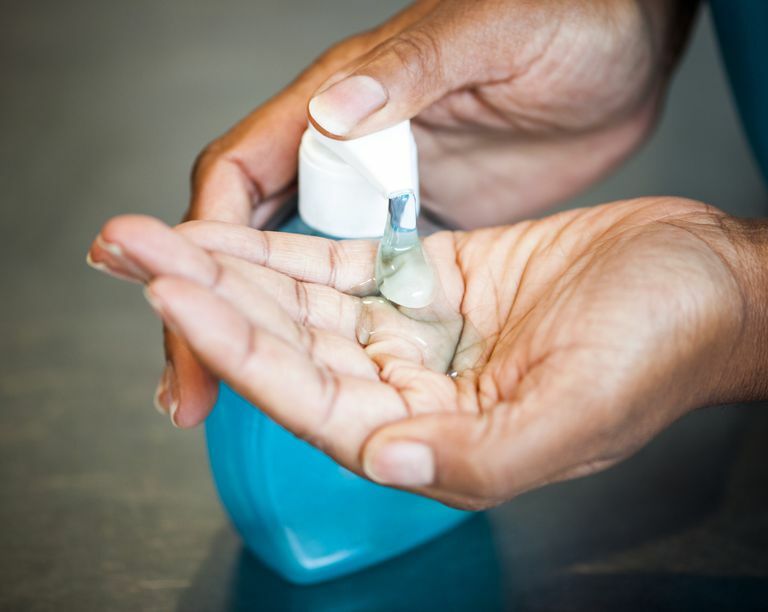 Antibacterial soaps and cleaning products used in health care settings are exempt from this ruling because they are necessary when resistant germs and infections are prevalent. Washing your hands is still the best way to prevent infections. Hand washing works by creating friction when you rub your hands together, use soap to get the germs off your hands and rinse under running water to ensure you wash those germs away. It's important to do it correctly. Most people don't wash their hands adequately or for a long enough period of time. Teach your kids—and yourself—to sing the "Happy Birthday" song twice out loud or in your head to make sure you are washing for a long enough period of time. Washing for at least 20 seconds is what is recommended by the US Centers for Disease Control and Prevention (CDC) and the World Health Organization (WHO). Avoid products that are labeled as antibacterial if you are buying soap and body wash for your home or the community. The risk of serious infections in the community is generally low and the risks of using these products on an everyday basis outweigh the benefits. One reason they will be continued to be used in hospital and healthcare settings is because the bacteria and risk for infection are much higher in those settings. In these situations, it is believed that the benefits do outweigh the risks. To help fight antibiotic resistance, you can also make sure you only take antibiotics when they are truly necessary and follow the directions that you are given when you need them. Antibiotics don't work for viruses. They won't help you get better any faster if you have a cold, the flu or even most ear infections and sinus infections. Check the soap and body wash that you use to ensure that they don't contain any of these ingredients. If they do, find alternatives. It may be tempting to find products that claim to provide the most protection against the germs in our environment. However, most of the bacteria and other germs that we come into contact with each day aren't harmful. Using products that could put us at greater risk in the future isn't worth the perceived amount of protection they claim to provide today, especially since the science doesn't back up these claims. Wash your hands with regular soap and water as needed—before and after eating or preparing food, after using the bathroom or changing a diaper, before touching your face, and after being out in public and touching shared surfaces. When you are looking for cleaning products for your family, make sure they don't contain the ingredients listed above. Aiello AE, Larson EL, Levy SB. Consumer Antibacterial Soaps: Effective or Just Risky? Clin Infect Dis. 2007;45(Supplement_2):S137-S147. doi:10.1086/519255. Commissioner O of the. Press Announcements - FDA issues final rule on safety and effectiveness of antibacterial soaps. http://www.fda.gov/NewsEvents/Newsroom/PressAnnouncements/ucm517478.htm. Safety and Effectiveness of Consumer Antiseptics; Topical Antimicrobial Drug Products for Over-the-Counter Human Use. Federal Register. https://www.federalregister.gov/documents/2016/09/06/2016-21337/safety-and-effectiveness-of-consumer-antiseptics-topical-antimicrobial-drug-products-for. Zorrilla LM, Gibson EK, Jeffay SC, et al. The Effects of Triclosan on Puberty and Thyroid Hormones in Male Wistar Rats. Toxicol Sci. 2009;107(1):56-64. doi:10.1093/toxsci/kfn225.